When it’s time for a new vehicle, you have two choices — to buy or to lease. While there are benefits for both, there are factors to consider such as your budget, how you use your vehicle, how many miles you drive, and if you prefer to have equity in your car or not.. Here at Beechmont Toyota, we’ve compiled a list of the benefits of both buying and leasing a vehicle to help you decide which option is best for you. We offer new vehicle financing rates as low as 0% APR with qualifying credit on your next Toyota. With rates this low, almost all of your monthly payment is repaying principal – not interest. When you purchase a vehicle, you don’t have to worry about mileage overage fees and you can customize it with accessories and aftermarket parts. You can do with your vehicle whatever you want – because it’s yours! In addition to low interest rates, we have loans available for up to 84 months, allowing you to get a new Toyota regardless of your budget. After you pay off your Toyota you will own it and have equity that can be leveraged if and when you purchase your next vehicle. Your vehicle is typically covered under the factory warranty for the duration of your lease, so you can have a peace of mind. Your monthly payments may be significantly lower when leasing, because you’re really only paying on the value between the purchase price and the vehicle’s residual value at the end of the lease – not the entire amount. If you’re the kind of person who enjoys driving new vehicles with all the latest technology, leasing allows you to pick out a new model every 2-4 years (the duration of your lease). When your lease is up, you won’t have to worry about the value of your vehicle or how it will affect the purchase of a new one. You simply return your vehicle and choose a new one. It varies by dealership. Often times, modifying a leased car by adding a remote start system or setting up a different stereo system may not be a problem. 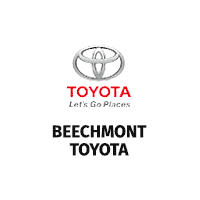 Check with Beechmont Toyota for more details. Q: How old you have to be to lease a car? You have to be 18 years old to lease a car. If you’re nearing the end of your lease and you realize the car meets your wants and need, you can absolutely buy the car. The lease contract will detail the price at which you can purchase your car at lease-end. Learn more about financing options by contacting your sales consultant. Q: If you saved enough money for a 20% down payment, should you buy or lease? Buying a car may be your best choice because it will help keep your monthly payment costs low and help pay off your car faster. We recommend leasing a vehicle shortly after the model year is introduced because that’s when the residual value will be the highest. In other words, there’s a good chance you will save money on the deprecation cost. If having the latest technology in your car is a priority, we recommend leasing. Most lease agreements last 2 to 4 years, so you will always be driving a car with the latest technology features. If you have a long daily commute, we recommend buying a vehicle because most lease offers have a mileage limit.